Where do I begin with Nick and Nicole - they are just two of the best. I think it's appropriate to note how Nicole, Nick came to hear about Bridal Bliss. Nicole and Nick are both originally from Seattle (my hometown). Nicole was recently engaged and having brunch with her Maid of Honor (Kelly), Kelly's grandma and MY grandma. These two grandma's are best friends and when Nicole was talking about wedding planning my grandma recommended Bridal Bliss. In short order Nicole and I were on the phone and planning her wedding. I think it's important to note this story because Nicole was having brunch with two grandma's and neither one was her own. This is because Nicole and Nick are both salt of the earth. Two of the dearest people who are friends with everyone. 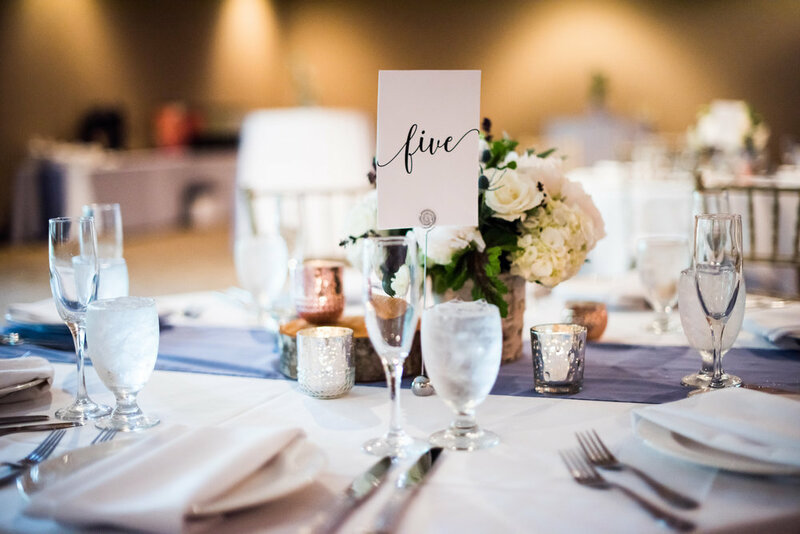 When it came time for their wedding it was important for them to have all their friends and family in one room celebrating their love story. 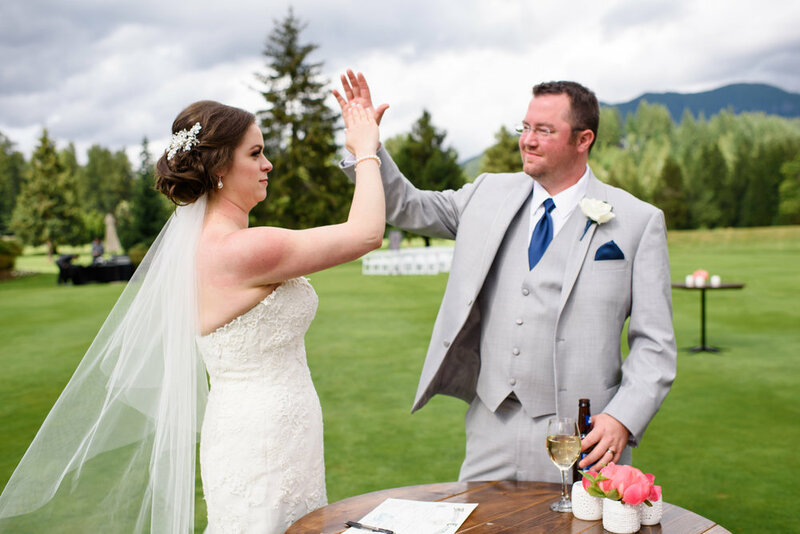 Nicole and Nick picked Resort at the Mountain for their wedding weekend. 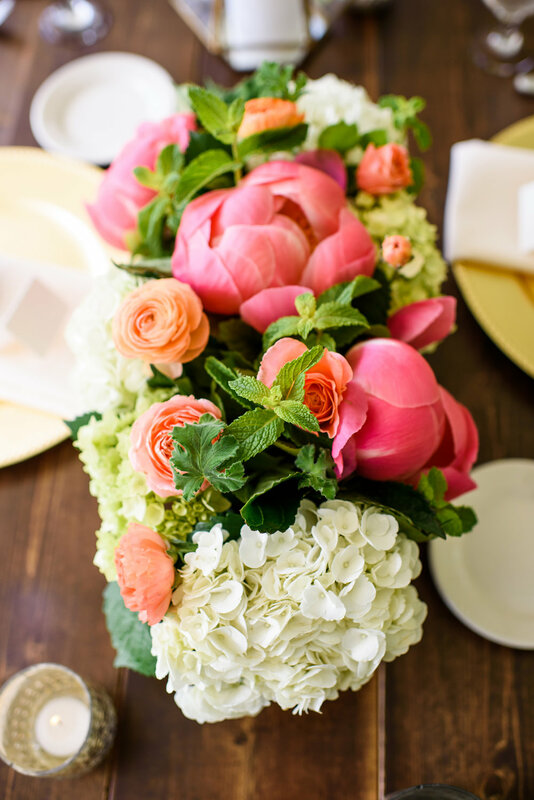 With all the guests from out of town they wanted to host everyone for a fun and love filled weekend. 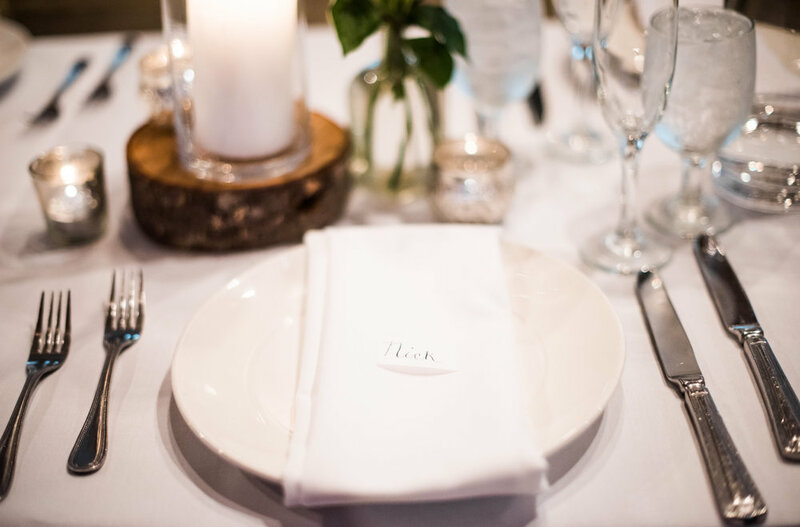 Nicole and Nick said "I do" with a personalized and unplugged ceremony. 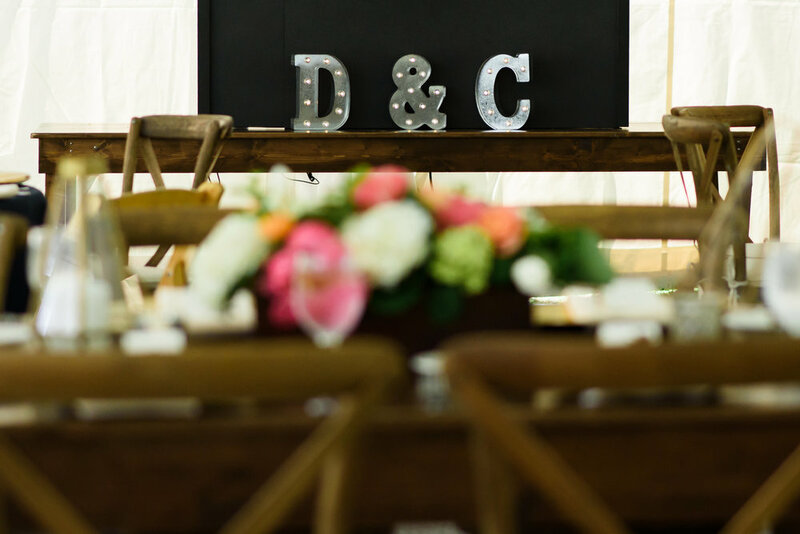 They had darling chalkboards created for the weekend which contained all the wedding details and guest list. 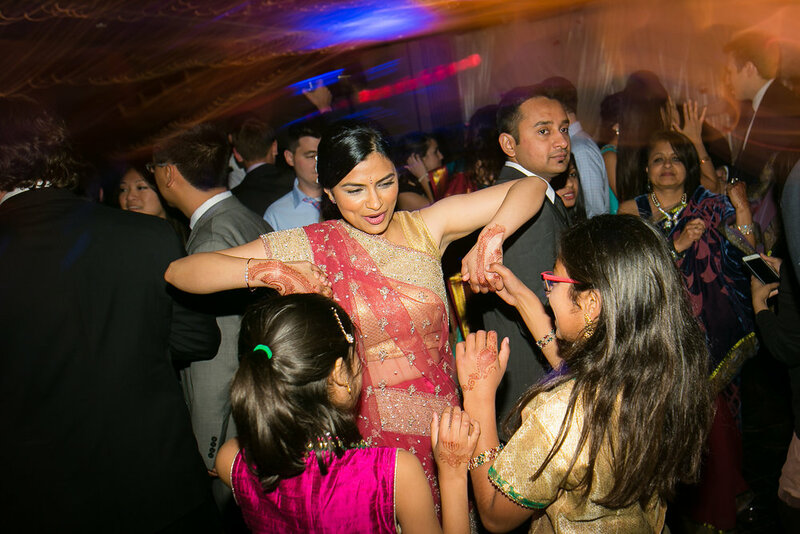 From the ceremony to reception - their guests loved every minute and danced the night away till the wee hours. 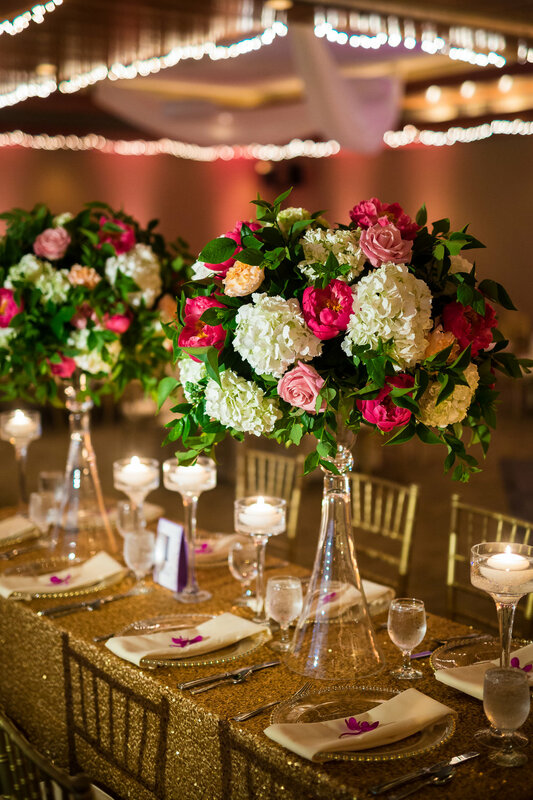 It was an unforgettable night for the couple and their loved ones. 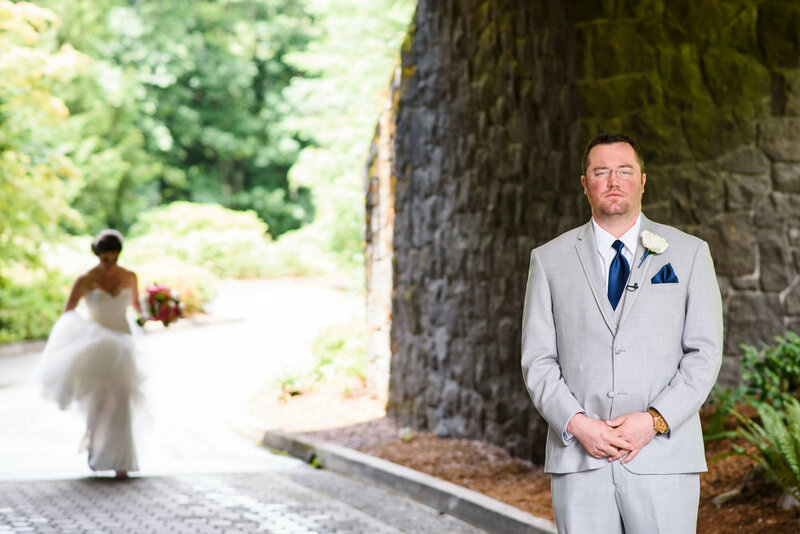 Denise & Cody love everything about the outdoors, so when it came to selecting their wedding venue, it only made sense to get married at the Resort at the Mountain. 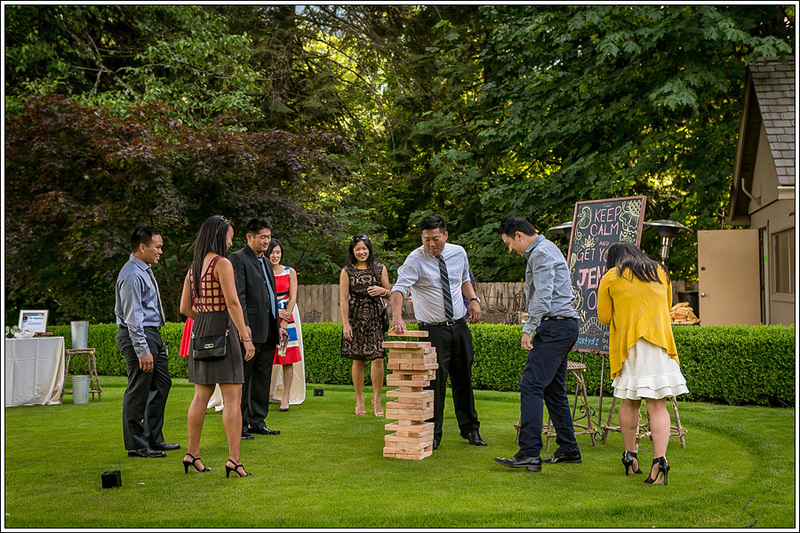 Choosing the Lakeside Lawn for their ceremony and reception in mid-June and in Oregon was bound to have some potential weather challenges and boy did the weather gods play some tricks on us that day! 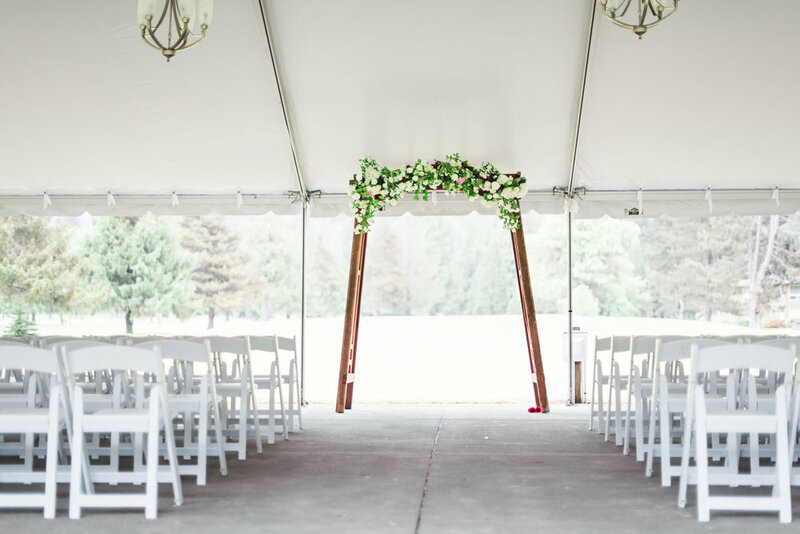 With a morning filled with hail, thunder and lightening storms, left everyone scrambling for backup options- should we do everything under the tent, should we move inside the ballroom, or should we just make a game time decision. Well, luckily for us, a game time decision was the right choice!! 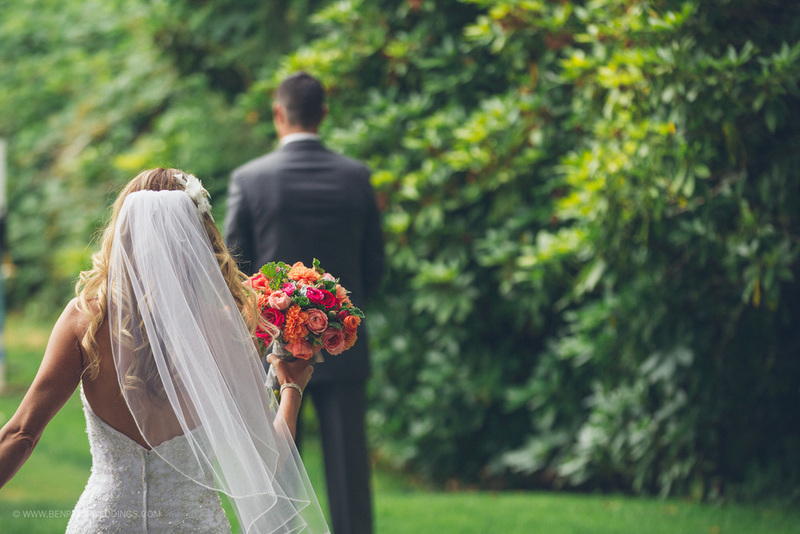 By the time the couple had done their first look, the clouds parted and it was as if Heaven's gates had opened up for us! The ceremony was beautifully written by a dear friend of both Denise & Cody, which also left no dry eye at their seats. 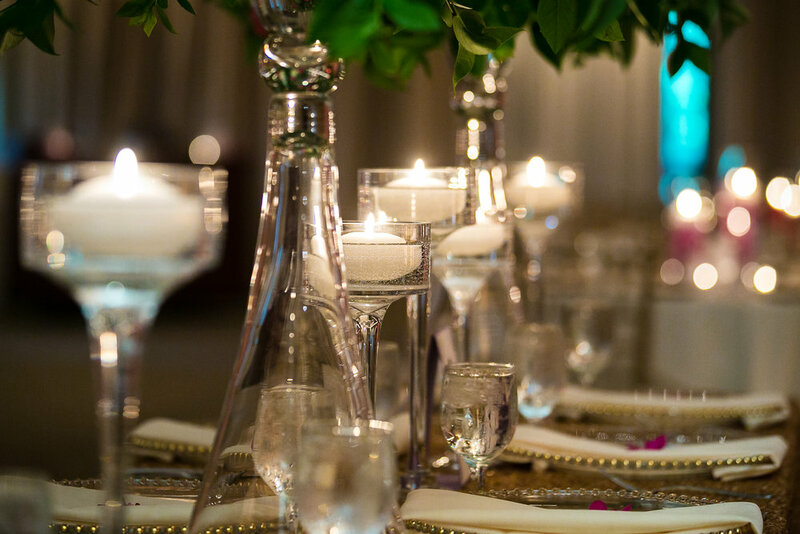 Guests were then able to enjoy cocktail hour out on the lawn and inside the tent while having appetizers and drinks. 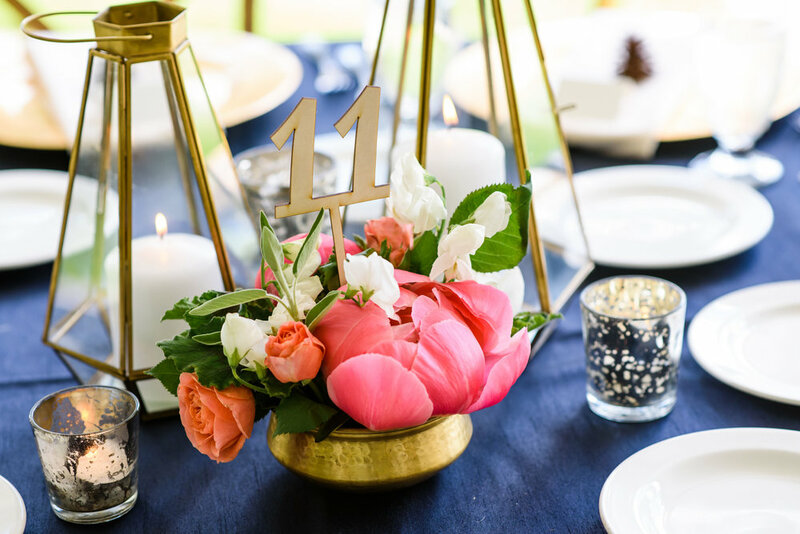 The chandeliers inside the tent were dripping with greenery and the tables had lush navy linens with gold beaded chargers topped with a pine cone at each setting. During dinner the rain started back up again, but once it stopped, left an amazing double rainbow to which we whisked the couple outside for some amazing photos! The end of the rainbow literally ended where the couple had said their vows, now if that isn't luck, I don't know what is! They say rain on your wedding day is good luck. And I would like to think this is true which then would mean Neha and Nanda have good luck for the entirety of their marriage! 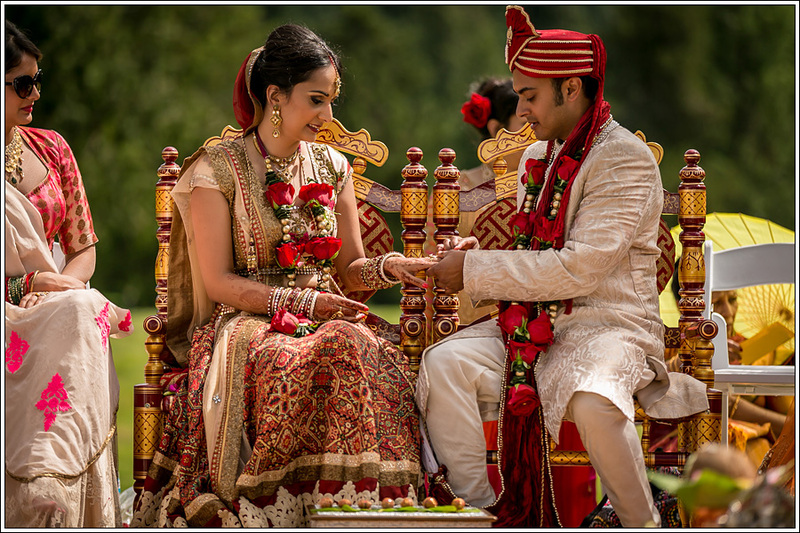 I began working with Neha and Nanda a year before their wedding. 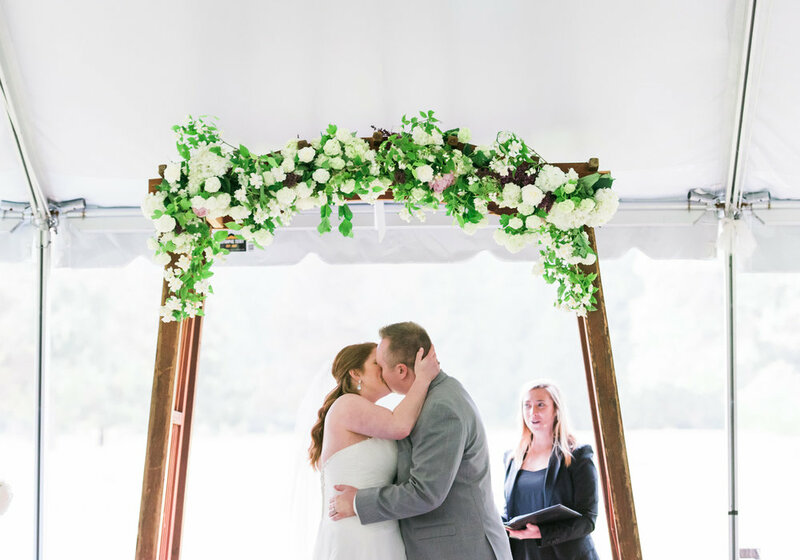 Both living in California they picked Oregon for their wedding to showcase the beautiful Northwest to all their guests who would be coming in from around the world. 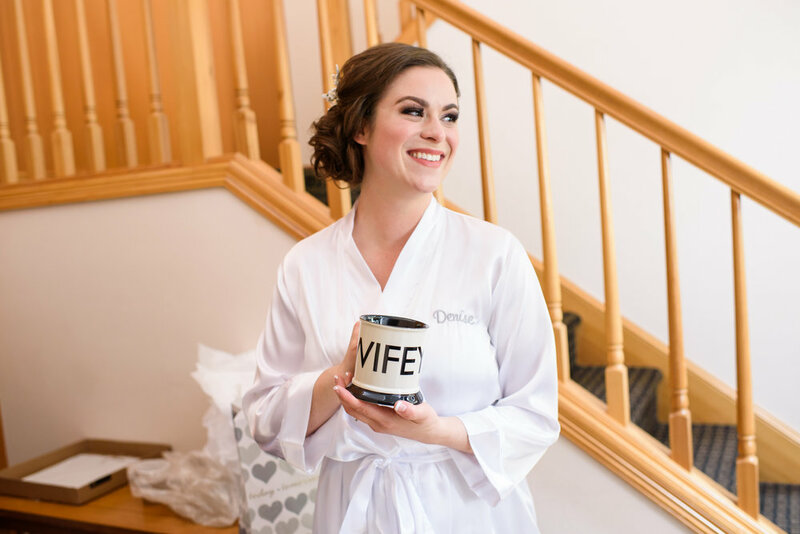 We landed on Resort at the Mountain for the wedding weekend and began planning what would unfold to be a truly beautiful wedding! 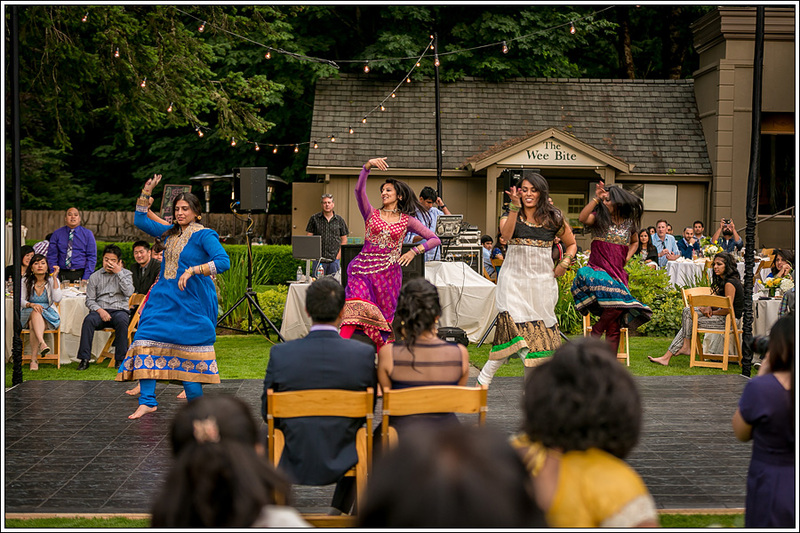 Neha and Nanda hosted a Friday night Mehndi reception to welcome their guests which included Indian Street food, a photo booth, a henna station, lawn games and Salt & Straw. While the weather didn't exactly cooperate the way we had hopped, when the rain finally stopped the clouds and freshness it left behind made for a gorgeous evening. 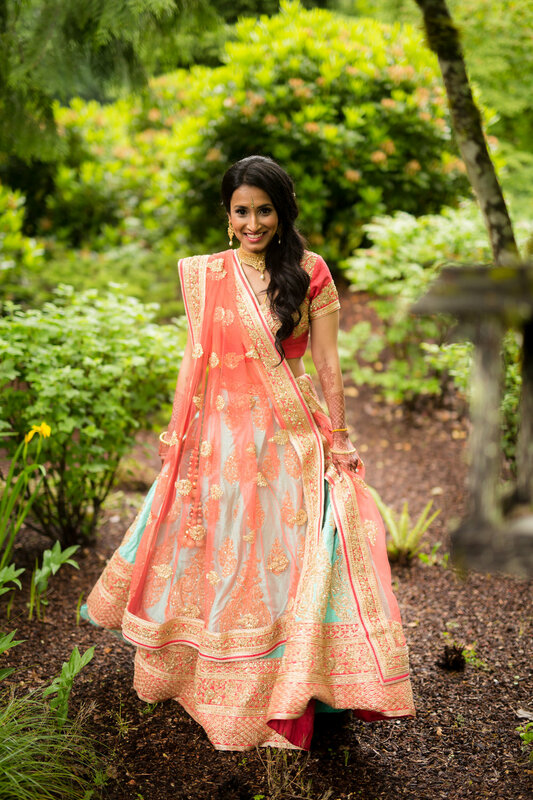 On Saturday Neha and Nanda celebrated their marriage with a traditional southern Indian ceremony. 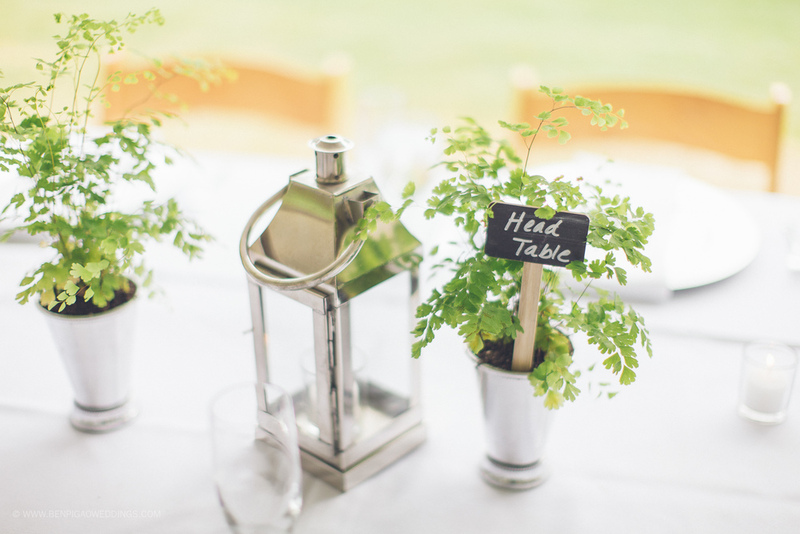 During the ceremony guests enjoyed fresh huckleberry lemonade and Masala Pop, popcorn. The ceremony concluded with Nanda's classmates from the Naval Academy sending them off with a saber exit "The right of passage is a kiss". Such a fun ending to the ceremony. 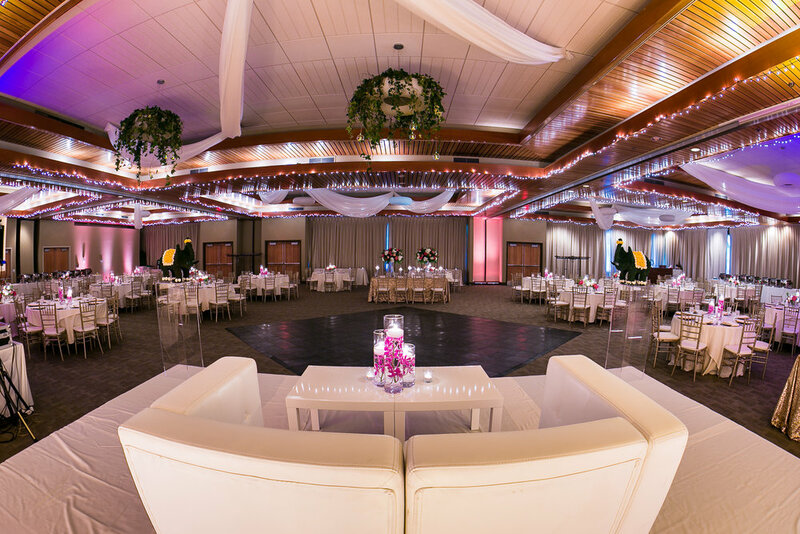 After a break during the day guests were treated to a full reception in the Resort at the Mountain's Ballroom transformed by Royce's Prop Shop and Zest Floral. 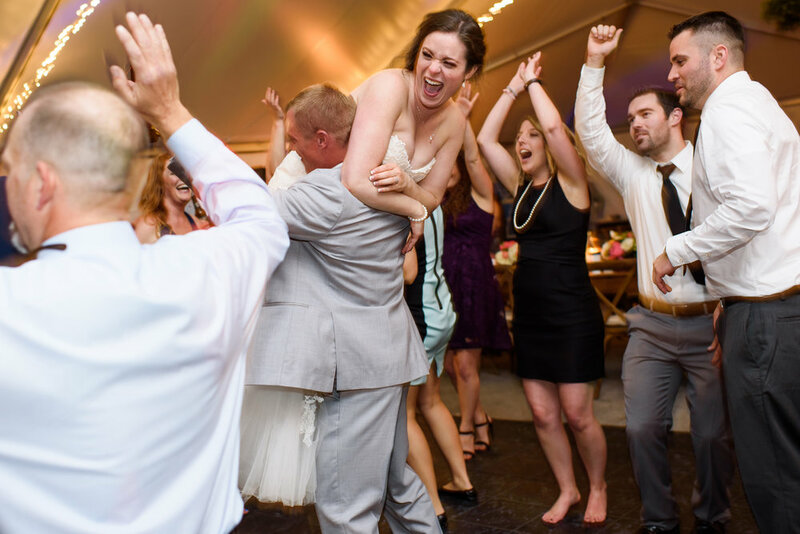 The couple, their family and friends ended up dancing the night away. It was pure bliss for everyone and to top it all off - a sparkler exit. Congrats to these two truly amazing people! 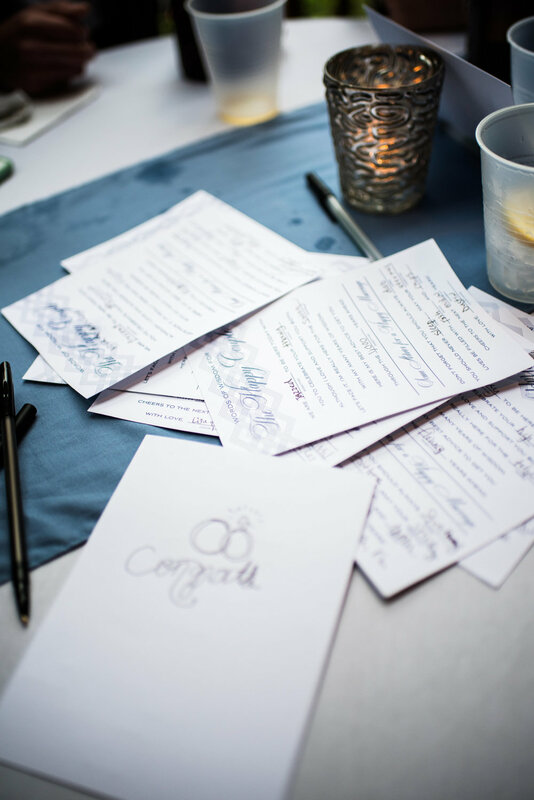 Kathleen & Nate were so fun and relaxed throughout the planning process, really wanting to make sure their guests had a great time was on top of their list. 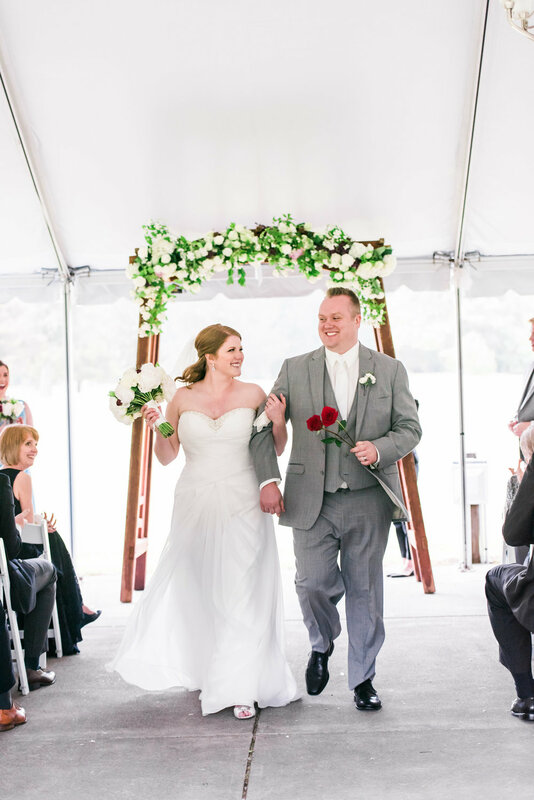 Their wedding took place at Resort at the Mountain's Lakeside Lawn, overlooking the golf course and lake. 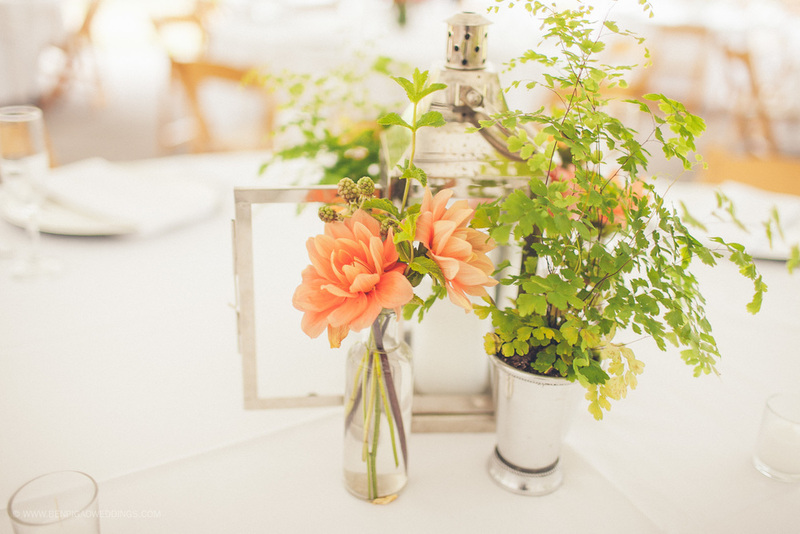 Tables were decorated with silver chargers and beautiful coral, pink and green floral by Blum, including greenery around the chandeliers that hung in the tent. Laurie Clarke Cakes provided a variety of cupcakes that were displayed in a tower which sat on top of a wine barrel. 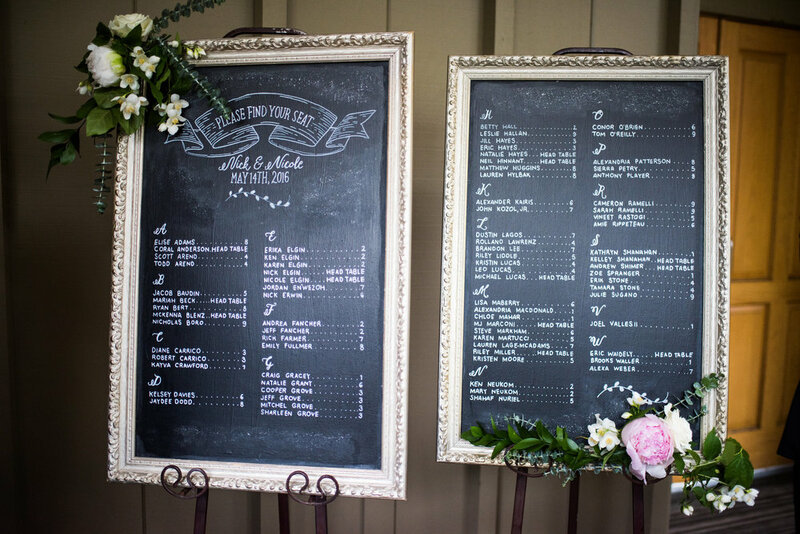 Chalkboard signs, written by their planner were used for seating assignments, ceremony program, bar & dinner menu. Limelight Photo Booth provided an awesome open-air Photo Booth which had guests waiting for their 2nd or 3rd turn, and while they waited, the DJ kept them dancing the night away. 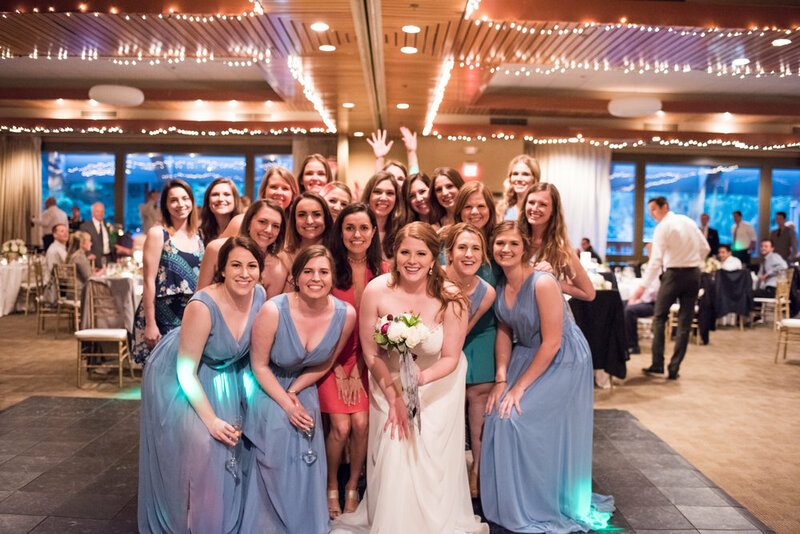 After the wedding ended, the bridal party and the remaining guests made their way to the resort bar for an after-party. What a fun group! 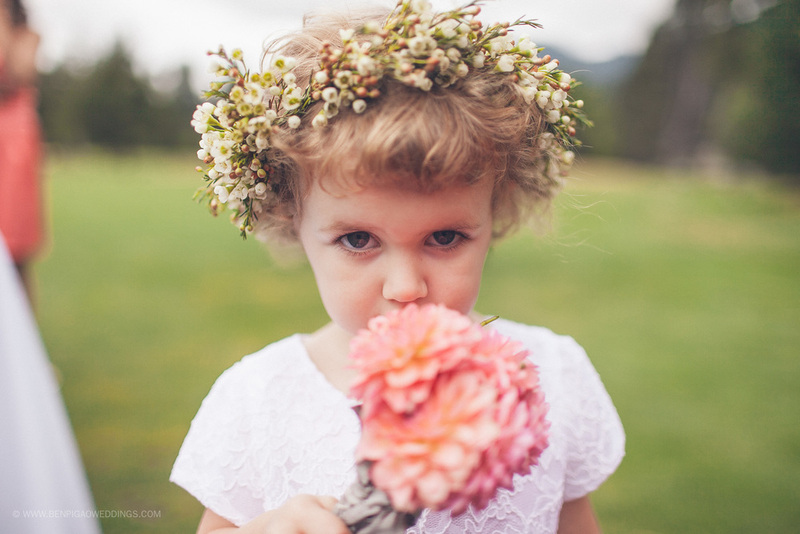 Jighna and Sarthak met online and could not have been more perfect for one another. 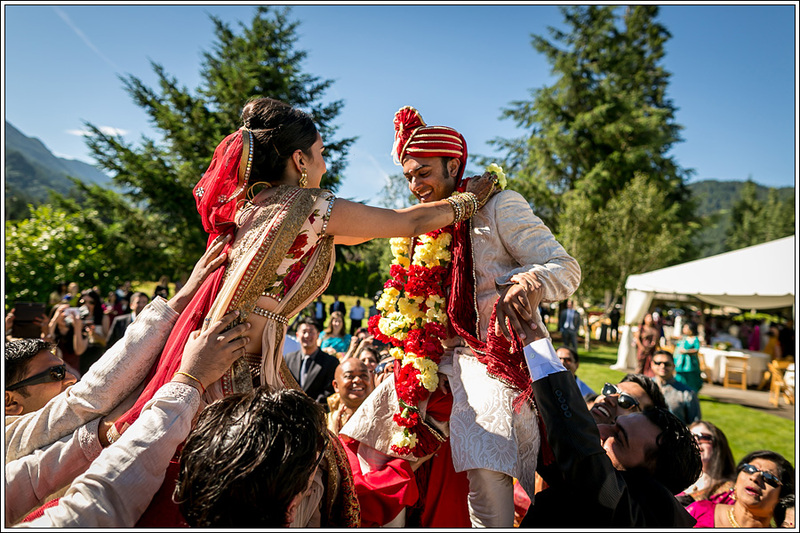 When they met, Jighna lived in Portland and Sarthak lived in Seattle- but both had a love and appreciation for the beautiful NW. 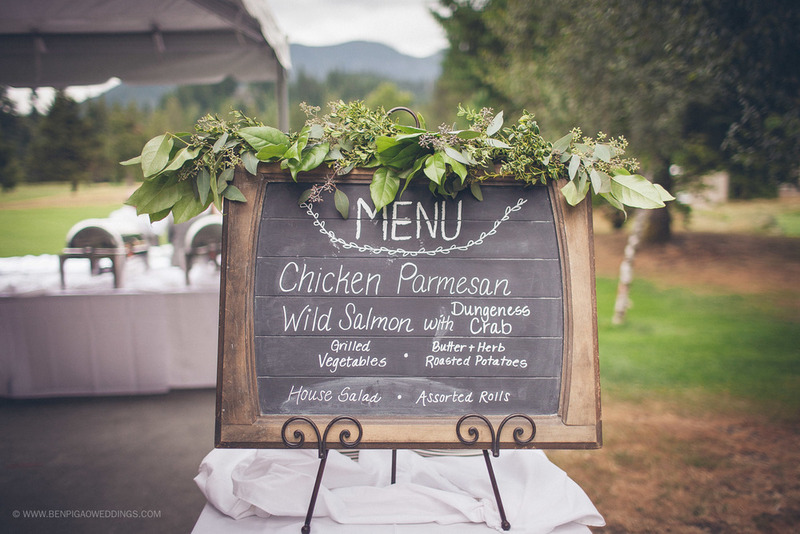 So when it came time for them to plan their wedding, they wanted their guests to experience all their favorite things from the Pacific NW. 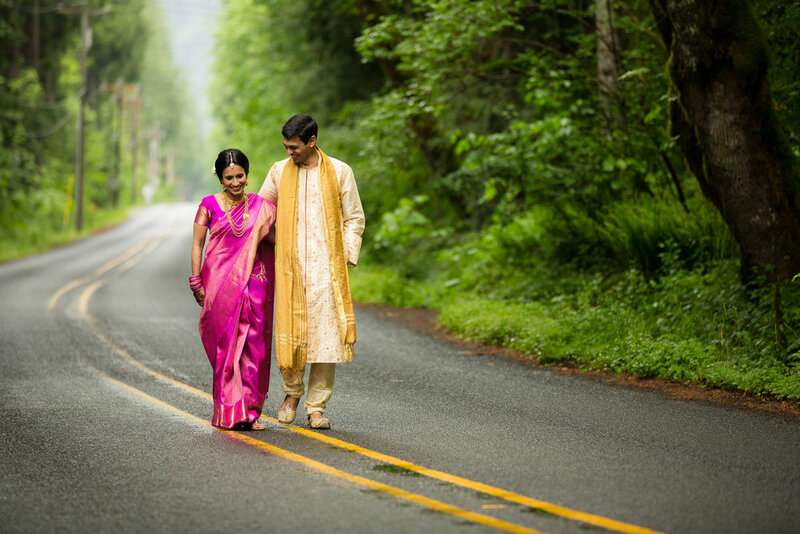 Jighna and Sarthak absolutely fell in love with RESORT AT THE MOUNTAIN after seeing the beautiful outdoor spaces. 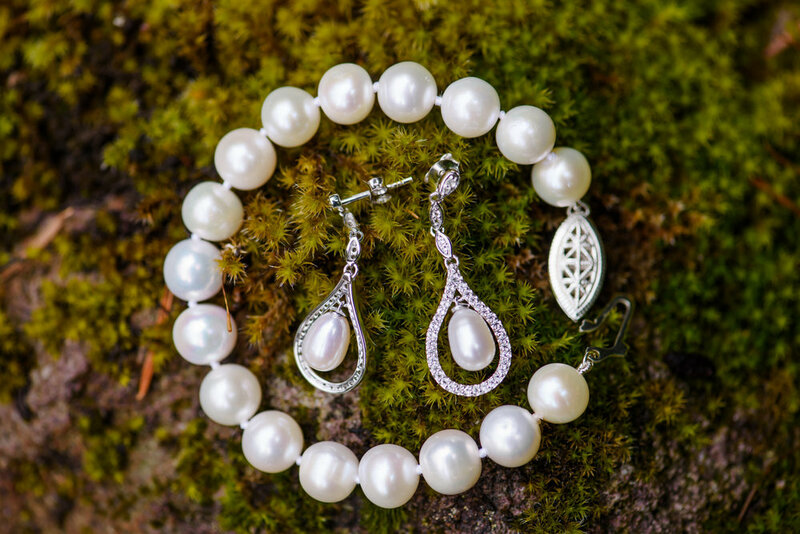 Being surrounded by all the natural elements created a perfect foundation for the overall design and theme. 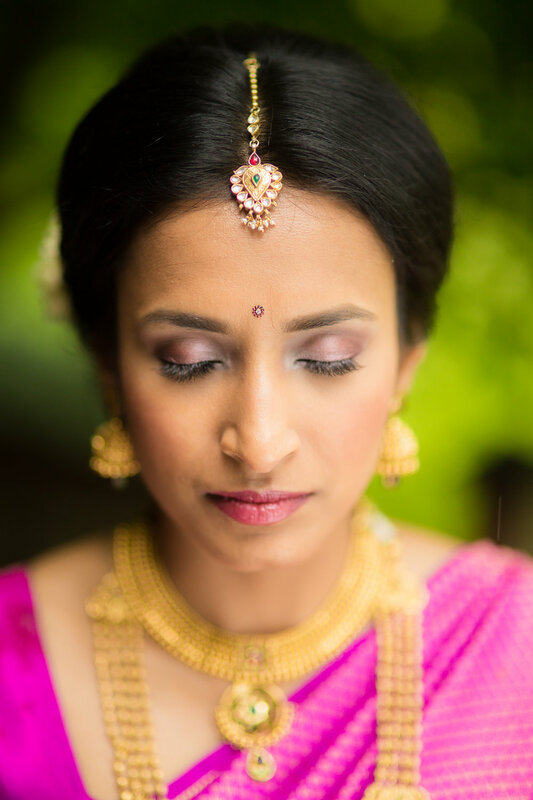 Jighna and Sarthak were an amazing couple from start to finish. 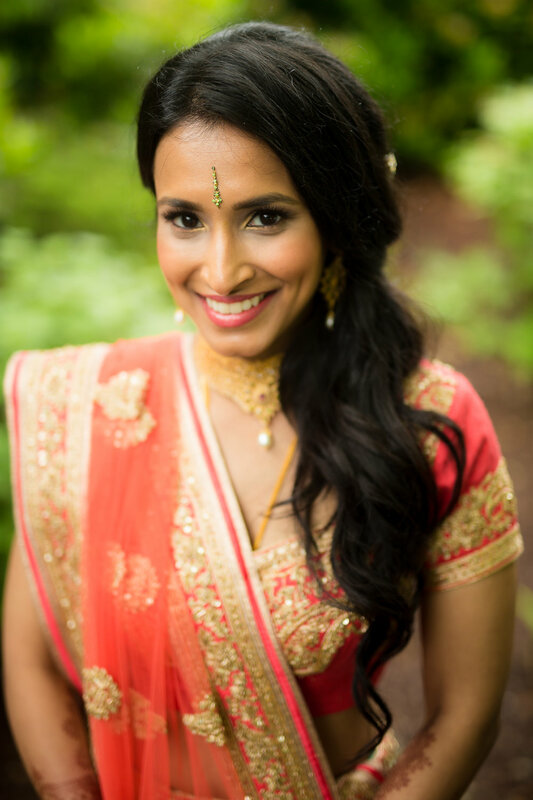 The Indian wedding weekend was a 4 day celebration with family and friends flying in from all over the world coordinated by ELIZABETH. 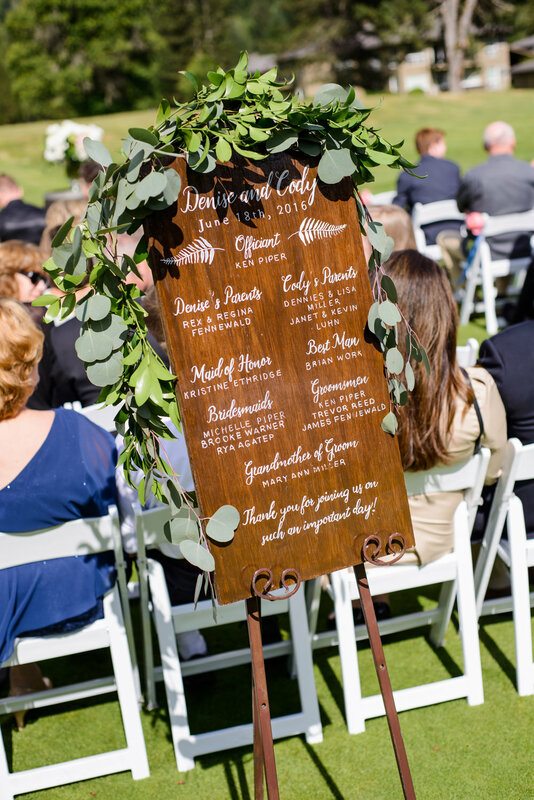 They did a wonderful job honoring their family history and traditions while incorporating fun details of their own. 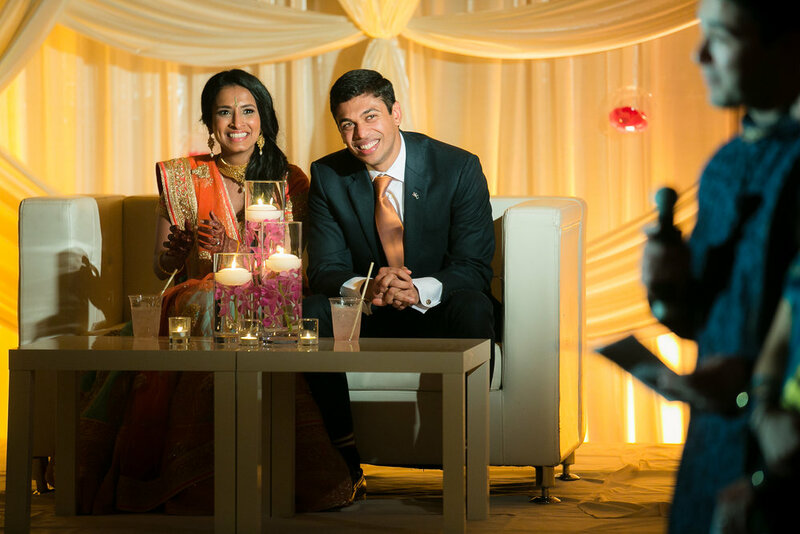 Jighna and Sarthak invited all their family and friends over to help kick off the wedding weekend celebration with a Mehndi Night. The girls enjoyed receiving henna drawings on their hands and feet. 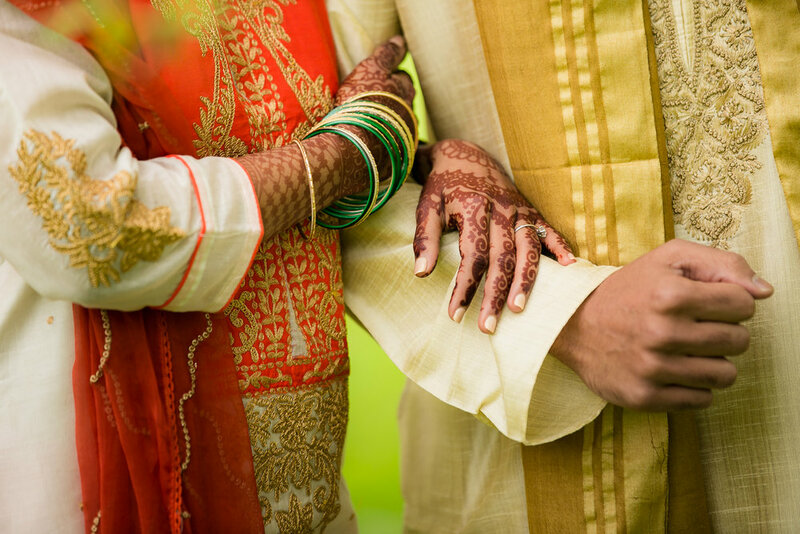 It is believed that the darker and deeper the henna stains the more the husband and the in-laws will love her bride. 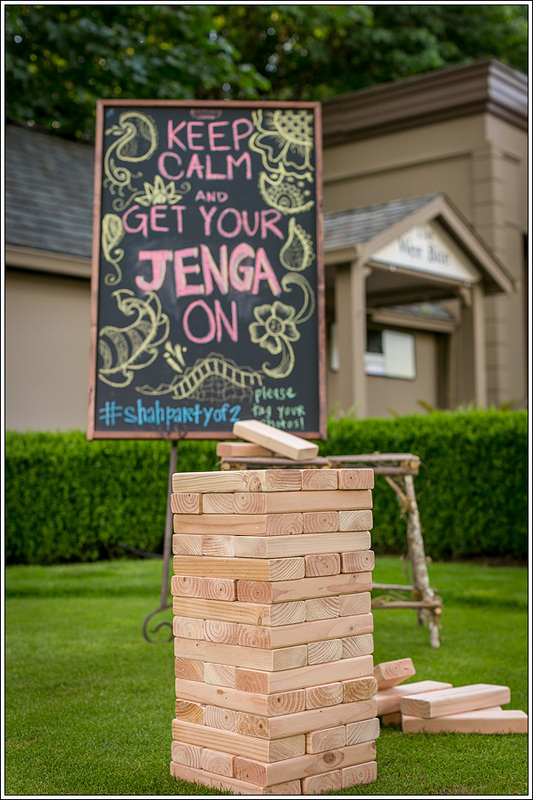 As you can see – Jighna’s henna was very dark and so she is clearly in for a long & happy life. 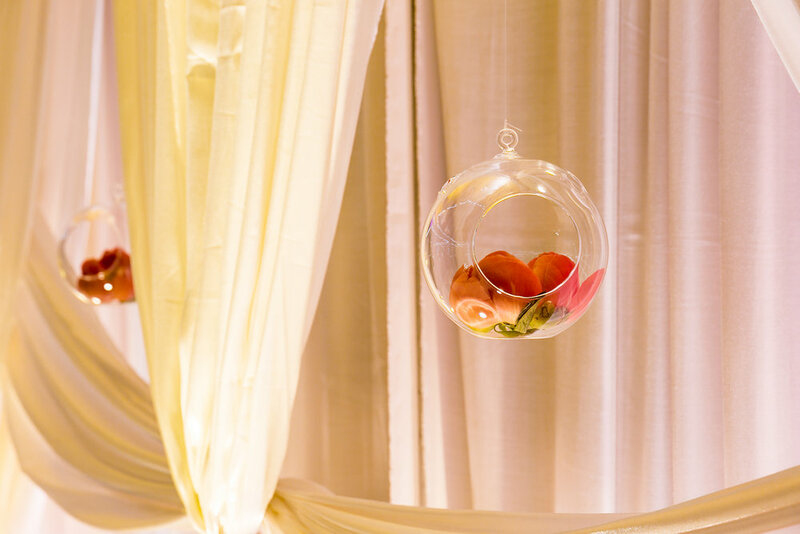 The couple decided to do their own twist on a typical Sangeet. They wanted it to be a more relaxed laid back feel, with food, drinks, entertainment, and in an outdoor space so that guests could enjoy the incredible views of the area. 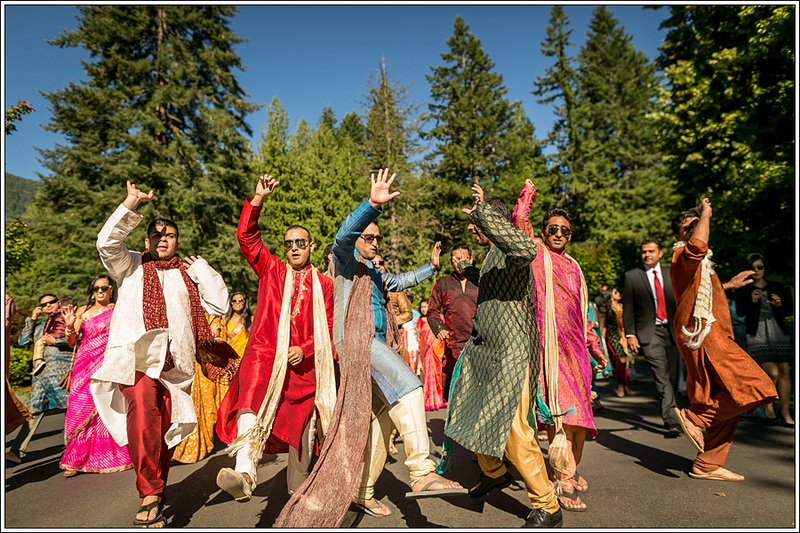 Their Baraat was a large processional full of color, music and traditions. 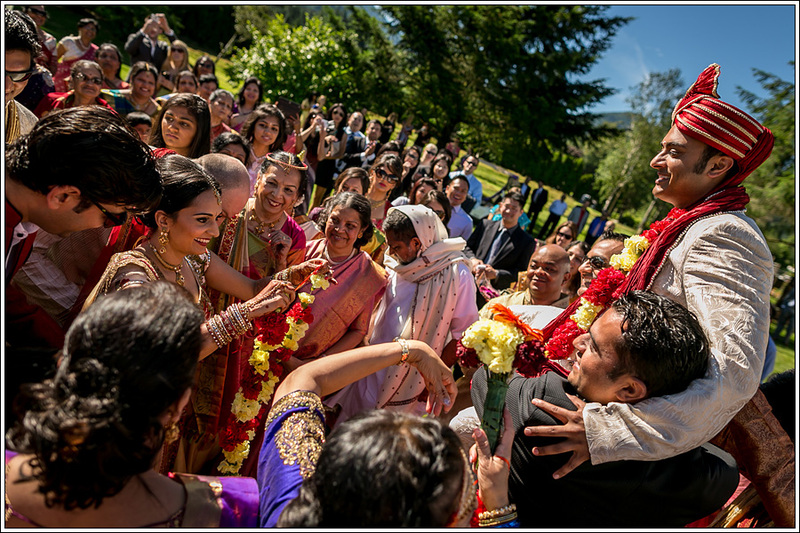 Sarthak and his family travels through the streets, singing and dancing, making their way to the ceremony. Sarthak rode a traditional white horse and led the procession with the help of a Dohl Player providing the beats for the music.